MUST BE 21 YEARS OF AGE OR OLDER TO ENTER. VOID WHEREVER TAXED, PROHIBITED OR RESTRICTED BY LAW. 1. To Enter: This ULTIMATE MUSIC, WINE & FOOD EXPERIENCE SWEEPSTAKES (the “Promotion”) begins at 12:01 a.m. (EST) on October 1, 2018 and ends at 11:59:59 p.m. (EST) on December 31, 2018. To enter online visit www.starmontwinery.com. 2. 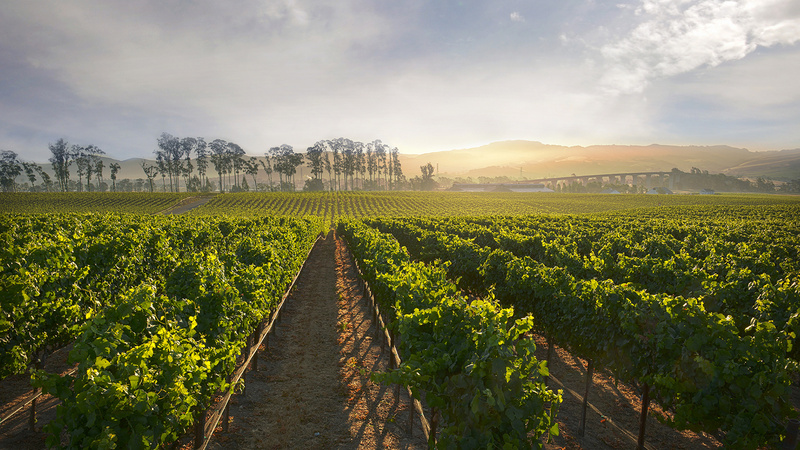 Prizes: ONE (1) GRAND PRIZE: A trip to Napa Valley for an ULTIMATE MUSIC, WINE & FOOD EXPERIENCE. The WINNER and ONE (1) Guest will receive a 3-Day Pass to BOTTLEROCK 2018. Prize includes Airfare and Hotel Accommodations (Approximate Retail Value of prize is $2,500). Prize winner is required to execute and return, within 14 days of prize notification, a notarized affidavit of eligibility and release of liability and publicity. Prize selected in random drawing from among all eligible entries received. Odds of winning the prize depends on the total number of eligible entries received. Drawing held on or about January 20, 2019. Sweepstakes open to legal U.S. residents who permanently reside in the United States and who are 21 years of age or older. U.S. citizenship required. Sweepstakes subject to full and complete official rules. 3. Determination of Winner: The winner will be determined by random drawing on or about January 20, 2019 by Merryvale Family of Wines whose decisions will be final in all matters relating to the Promotion. Odds of winning will be determined by the total number of eligible entries timely received. The potential winner will be notified by Text or Telephone during the Promotional Period. If the potential winner cannot be located via Text or Telephone within 2 days of the first attempted notification, prize may, at the sole discretion of the Sponsor, automatically be forfeited and another winner selected. Winner will be required to sign an affidavit of eligibility, a liability release and, where legal, a publicity release, within 7 days of notification or prize may, at the sole discretion of the Sponsor, automatically be forfeited and awarded to another winner. Except where prohibited, participation in the Promotion and/or acceptance of a prize constitutes winner’s consent to use of their name, likeness, photograph, voice and biographical data for advertising and promotional purposes without additional compensation. 4. Eligibility: The Promotion is open only to legal U.S. residents who are 21 years of age or older at the time of entry. Void wherever taxed, prohibited or otherwise restricted by law. Employees of Starmont Winery & Vineyards, its parents, subsidiaries, affiliates, agents, assignees, printers, advertising, public relations, promotion and other agencies, alcohol beverage suppliers, importers, wholesalers, or distributors, as well as any member of the immediate families or households of any of the foregoing, are not eligible. All federal, state and local laws apply. 5. General Conditions: No substitution of prize for cash except at Sponsor’s sole discretion. Cash substitution may be less than approximate retail value of prize. Prize is non-transferable except at the sole discretion of Sponsor. All federal, state and local taxes on the prize are winner’s sole responsibility. Winner’s guest must be 21 years of age or older and must travel on the same itinerary. By participating in this Promotion the winner, for and on behalf of himself or herself and all of his or her heirs, personal representatives and assigns, voluntarily accepts and assumes all risk associated with participating in this Promotion and accepting, using or misusing any prize, and further agrees to completely and forever defend, indemnify and hold Sponsor and its parents, subsidiaries, officers, directors, employees, agents, and agencies harmless from and against any and all claims, costs, expenses, actions, demands, causes of action or other liabilities, known or unknown, absolute or contingent, fixed or otherwise, arising or resulting in any manner from and/or by reason of the winner’s participation in the Promotion and/or his or her receipt, acceptance, use and/or misuse of any prize. Sponsor shall have the right, in its sole discretion, to abbreviate, modify, suspend, cancel or terminate the Promotion in whole or in part without notice or further obligation. 6. Electronic Entries: In the event of a dispute, online entries will be deemed made by the authorized account holder, as of the date of entry, of the Phone Number from which entry was submitted. The authorized account holder is the natural person who is assigned to the Phone Number by an internet access provider, online service, or other organization responsible for assigning Phone Numbers. Sponsor and its agencies are not responsible for lost, late, damaged, illegible, misdirected, incomplete or postage–due entries, or for online entries not received due to lost, failed, delayed or interrupted connections or miscommunications, or to other electronic malfunctions, delays, or errors of any kind. Sponsor is not responsible for incorrect or inaccurate entry information, whether caused by website visitors or by any human or technical error. Sponsor reserves the right, in its sole discretion, to cancel or suspend all or a portion of the Promotion, should viruses, bugs or other causes beyond control of the Sponsor corrupt the administration, security or proper operation of the Promotion. ANY PERSON WHO ATTEMPTS, SUCCESSFULLY OR OTHERWISE, TO DELIBERATELY DAMAGE ANY SPONSOR OR PROMOTION-RELATED WEBSITE, OR UNDERMINE THE LEGITIMATE OPERATION OF THIS PROMOTION, IS A VIOLATION OF CRIMINAL AND CIVIL LAW AND SPONSOR WILL SEEK THE PROSECUTION OF, AND DAMAGES FROM, ANY SUCH PERSON TO THE FULLEST EXTENT PERMITTED BY LAW. 7. Winner’s List: For a list of winners, please send a self-addressed stamped envelope to: THE ULTIMATE MUSIC, WINE & FOOD EXPERIENCE SWEEPSTAKES – WINNERS LIST, 1000 Main Street St. Helena, CA 94574. All requests for the winner’s list must be postmarked by January 20, 2019. ©2018 Starmont Winery & Vineyards.